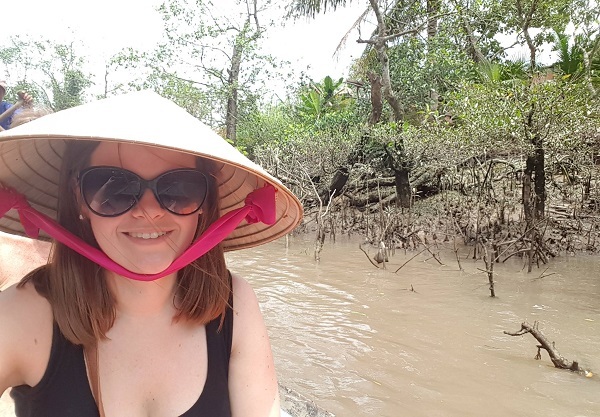 In March, Nicola Atkinson, Manager of our Ipswich travel agents in-store at Coes, took a trip to Vietnam for five days to explore Ho Chi Minh City and the Mekong Delta. Here is what she got up to in this amazing country. On Arrival in Ho Chi Minh City, I was transferred to the amazing Reverie Saigon Hotel for the first night. The transfer alone was an experience with all the buzzing traffic in the city. The main mode of transport in Vietnam is a Vespa and they are everywhere - some even have the whole family on. The next morning, we travelled to Cai Be to enjoy a day in the lush surroundings of the Mekong Delta. 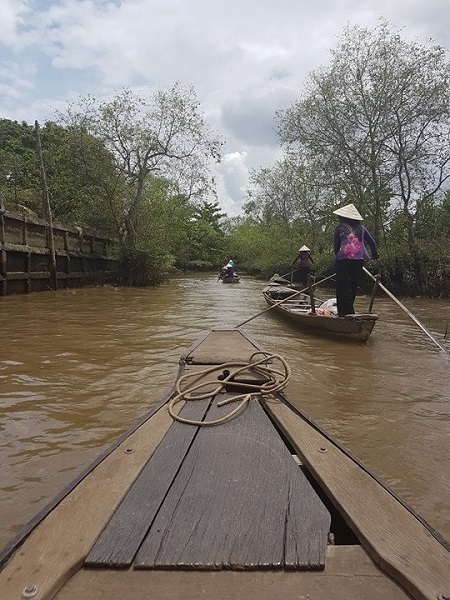 We cruised along the river and stopped in a local village to enjoy a small tour, before experiencing a ride on a traditional Sampan long boat. Back on board, we had a lovely lunch which consisted of elephant ear fish and local beers - it was delicious. After lunch, we biked to Cai Thia, where we stopped at a local house to see how traditional Vietnamese rice paper is made. The next morning was an early start, as we went on a boat cruise to Cai Rang to enjoy the floating market. This was such a great experience and I loved seeing the locals shop. The market was full of small boats selling local produce and vessels that deliver goods from all parts of the Mekong Delta. We then took a three-hour drive back to Ho Chi Minh City to get ready for our evening excursion – Vespa by night. This was my highlight of visiting Vietnam. We travelled in and out of the crowds of locals going home after work and experienced the chaotic, noisy, fascinating sights and sounds of this busy city. It was great fun. We also explored the side streets and back alleys where local people congregate; there is no better way to see the culture of Vietnam. 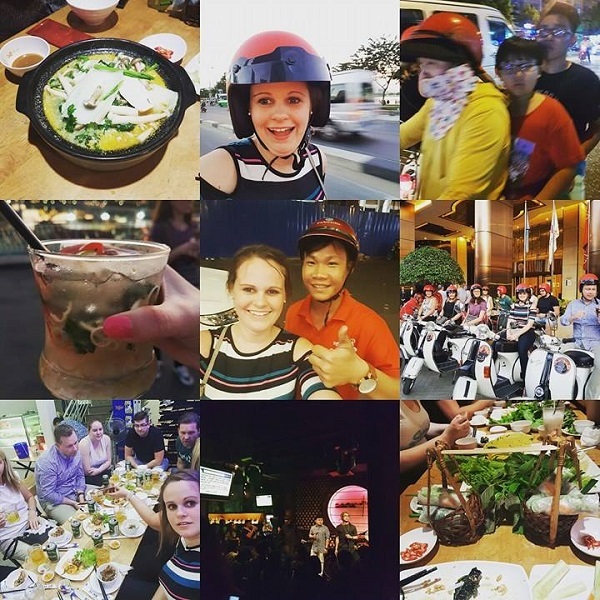 After stopping at two local restaurants to try some street food, the Vespas took us to enjoy some Vietnamese music in some of the popular bars. After all the excitement of Ho Chi Minh City at night, the next morning we took a speedboat trip to discover the Cu Chi Tunnels. We learnt all about the Vietnam War where the Vietnamese guerrillas built a labyrinth of narrow tunnels as hideouts, some of which have been made bigger for tourists to explore. We then travelled back to the city by speedboat to spend the afternoon seeing more of the sights. This included a tour of the Reunification Palace, the Notre Dame Cathedral and Central Post Office. That evening, we went to a local market to do a bit of bartering and buy some local goods to take home. It was great fun trying to work out the currency conversion to see if you were getting a good deal or not. 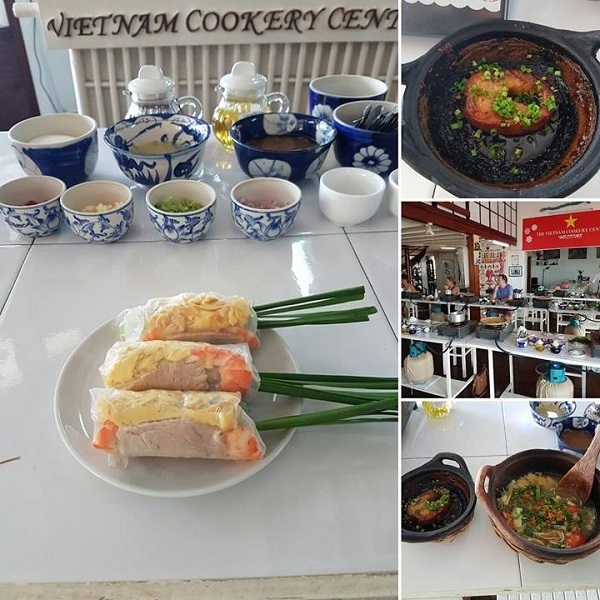 Next morning, we went to a Vietnam cookery centre to learn how to make traditional Vietnamese food. The class started with a visit to a local market, which was a real eye-opener and showed us how they buy fresh meats and fish. Back at the cookery school, we prepared homemade spring rolls and a fish soup, before tasting what we had made. Vietnam was such an amazing place to experience. It was so interesting to learn about the local culture and it’s definitely a destination that I will be going back to in the future to explore some more. If you would like to book a trip to this part of the world, whether it’s a river cruise or land tour, our team can find you the perfect option. Drop by our Bournemouth travel agents or any of our other shops on the south coast and in East Anglia.